Huascaran National Park is a 340,000-hectare protected mountain landscape in the heart of Peru’s Cordillera Blanca (White Mountains). 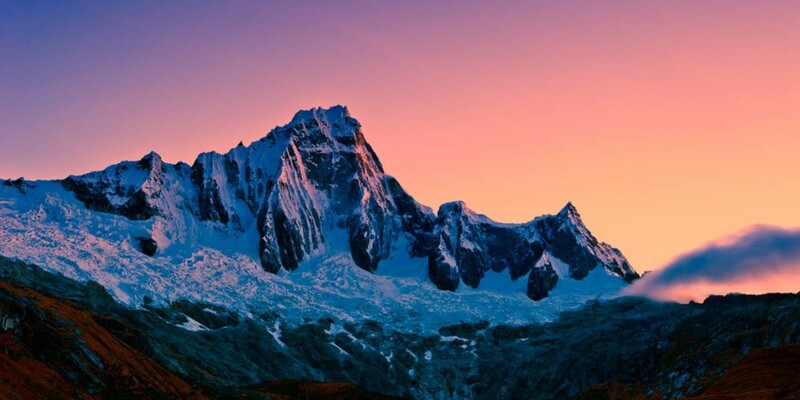 Dotted with snow-capped peaks, turquoise lagoons, tropical glaciers, and rich flora, the park attracts extreme mountaineers and less experienced day-trippers alike. Huascaran National Park’s most notable features include Nevado Huascaran (Mount Huascaran), Peru’s highest peak at 6,768 meters or 22,200 feet, the endangered Queen of the Andes, the largest species of bromeliad known for its giant flower-spike, and remnants from pre-Columbian cultures, like the archaeological ruins of Chavin de Huantar (also a UNESCO World Heritage Site). The park, named after a 16th Century Inca leader, was formed on July 1, 1975. By 1985, UNESCO declared it a World Heritage Site for its spectacular landscape and biodiversity and for its impressive geomorphology. 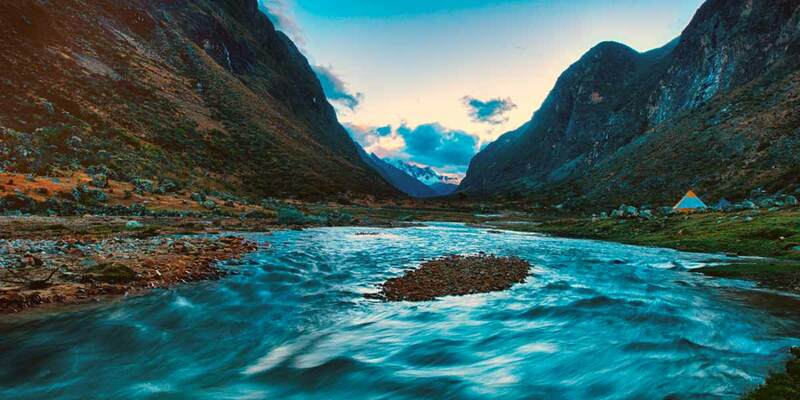 There are 27 snow-capped peaks over 6,000 meters above sea level, more than 600 glaciers, 300 lakes, and 41 tributaries that lead to three important rivers: the Santa, Pativilca and Maranon. Vicuna, Spectacled Bear, Puma, Andean Condors, and Giant Hummingbirds populate Huascaran National Park, making for a safari of sorts for visitors, while more than 800 documented plant species cover the landscape, including the towering Queen of the Andes. Ranging from 2,500 meters (8,200 feet) at its lowest to 6,000+ meters at its highest peaks (19,700+ feet), Huascaran National Park contains the world’s highest tropical mountain range. 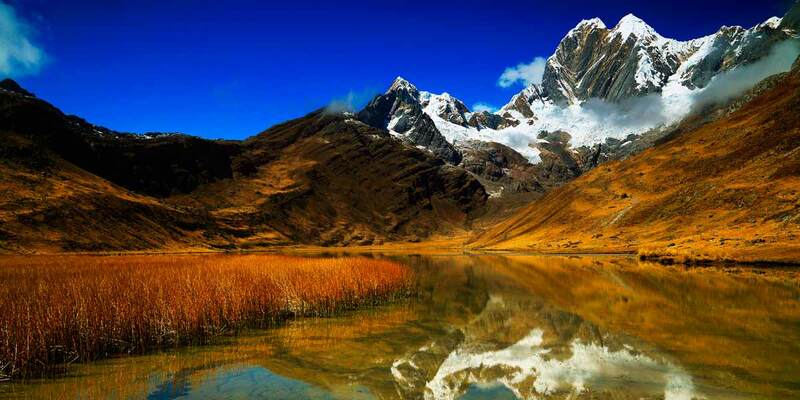 Be sure to acclimate down in Huaraz, the city nearest to this colossal and stunning park. Visitors to Huascaran National Park can enjoy any one of the park’s 25 trekking circuits or 102 climbing routes. The beautiful turquoise Laguna 69 is a popular choice for travelers short on time and who are looking for just a day trip into the park’s challenging terrain. As far as archaeological sites go, there are 33 within the park, including everything from cave paintings to eroded agricultural terraces, fortresses, and tombs. The Cordillera Blanca served as a popular spot for a host of pre-Colombian cultures beyond and preceding the most famous Chavin culture. 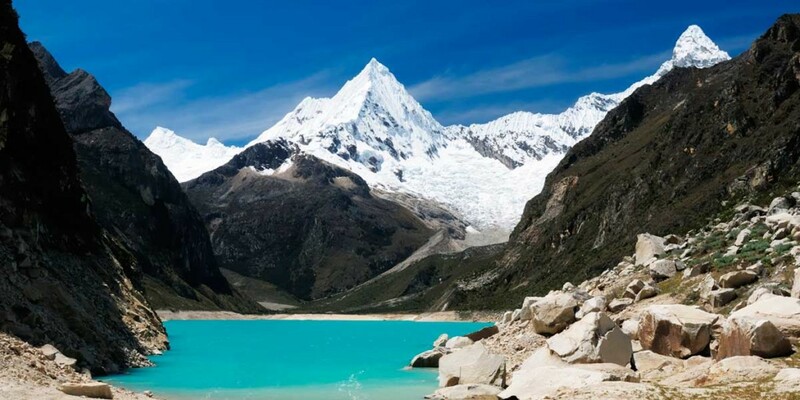 To visit Huascaran National Park and its many natural and archaeological features, you’ll need to head from Lima to the mountain city of Huaraz, an 8-hour journey. The best time to visit is between May and October when rainfall is low. To begin planning your visit to Huascaran National Park during your Peru tour, get in touch with a Kuoda Travel Designer today.